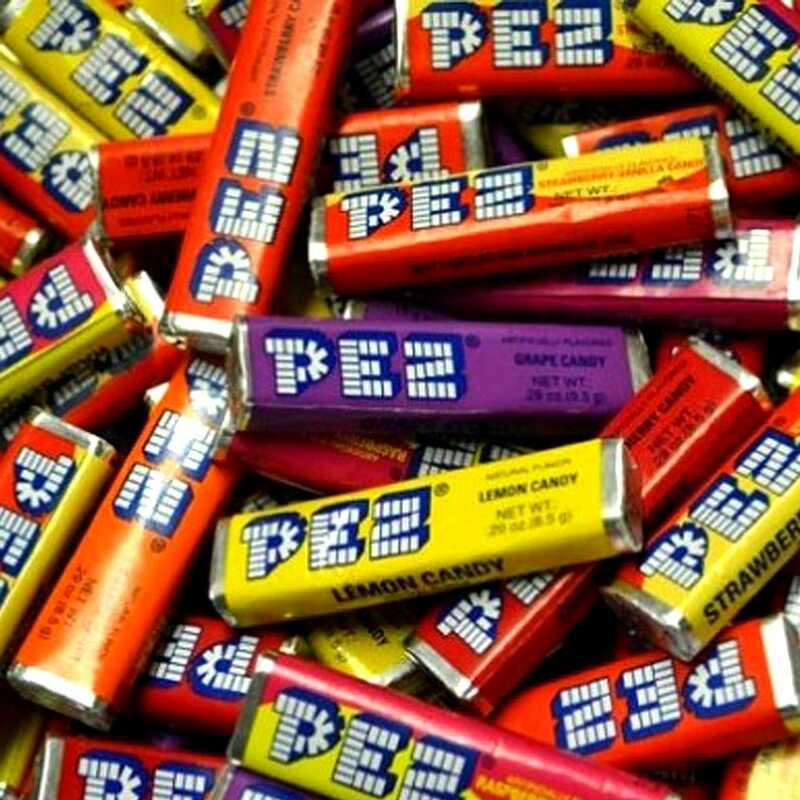 Enjoy the famous pez sweets with their delicious flavour and fruity zing! This famous pack of tasty sweets will leave your hen wanting more! Ingredients List For Pez Candy (Except Chocolate): Sugar, Corn Syrup, Adipic Acid, Hydrog. Palm Kernel & Palm Oils and Soybean Oil Mono & Diglycerides, Natural & Artificial Flavors, Artificial Colors FD&C Red 3, Yellow 5, Yellow 6, Blue 2. Ingredients List For Pez Chocolate Flavored Candy: Sugar, Corn Syrup, Hydrog. Palm Kernel & Palm Oils and Soybean Oil Mono & Diglycerides, Artificial Flavor, Color. Peanut, Tree Nut & Gluten Free.